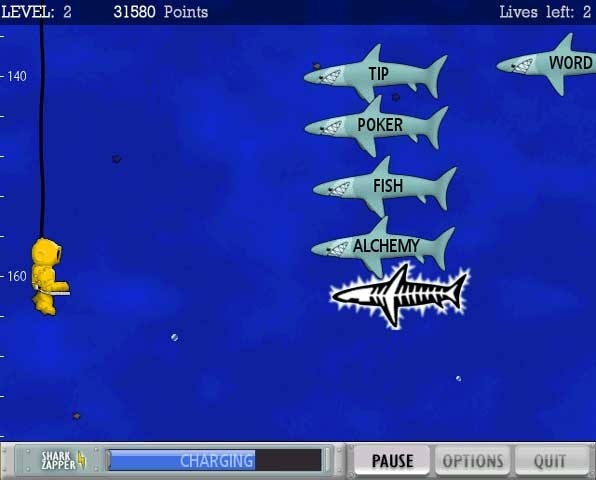 Games include: Trick or Type, Keyboard Revolution, Martian City Defender, Meteor Typing Blast, Keyboard Triathalon, Spacebar Invaders, Save the Sailboat Race, Outerspace Fleet Commander, The Frogs are Off Their Diets! 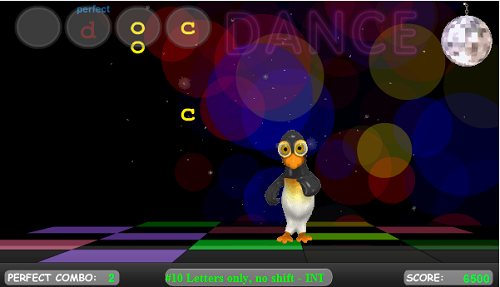 Similar to Guitar Hero - songs are categorized as easy, medium, and hard. Stack and unstack the cups by typing the characters on them. You can type the characters only when they are black. To spell a word, type the letters on your keyboard. 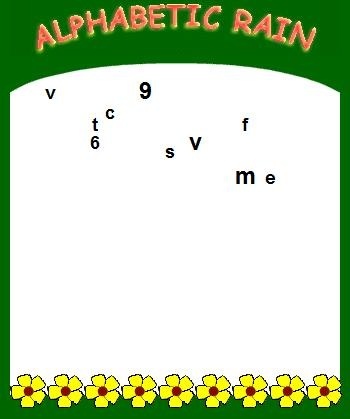 The lettered eggs will automatically disappear once the word is completely and correctly spelled. The game is over if you allow 36 eggs to fall off the conveyor belt and crack. NOTE: This game requires Shockwave. 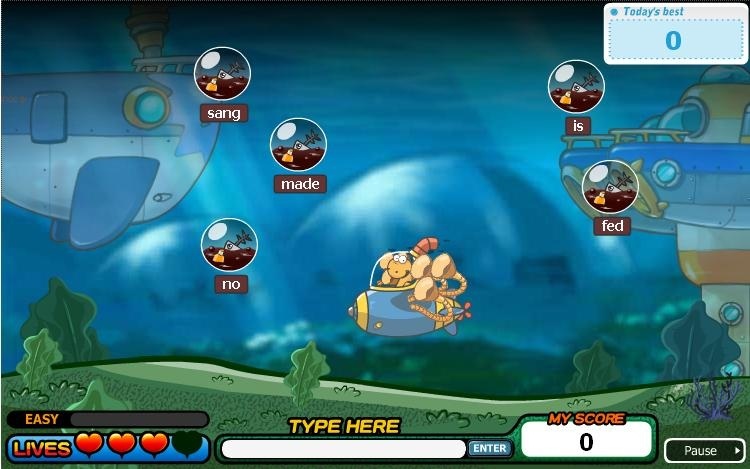 Destroy the ghosts by typing the words on them. Use the "backspace" key if you want to cancel the typing. 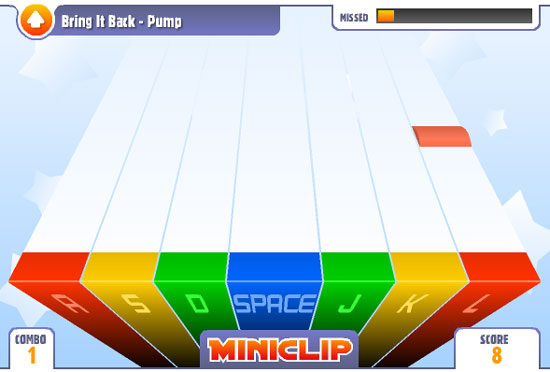 Note: didn't like the subliminal advertising for novelgames.com. Help keep the oceans clean by getting rid of the trash. Type the word that appears below each item of trash then hit enter. If the word is spelled correctly then the trash will be destroyed. 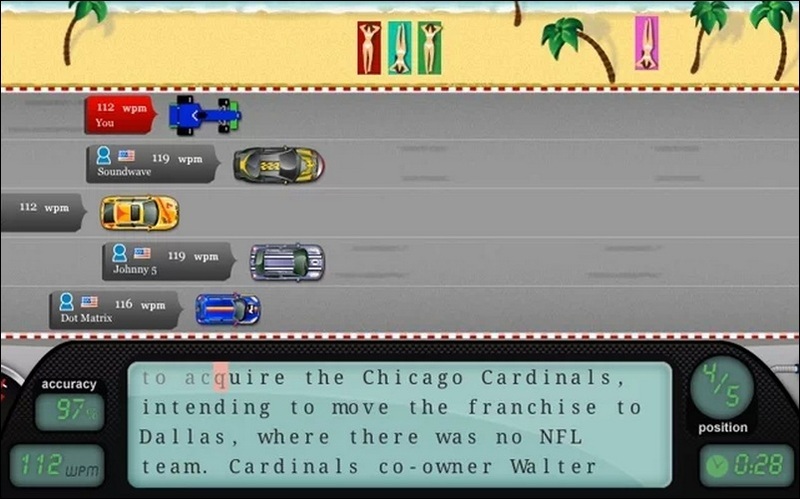 Note: games require Adobe Flash Player. 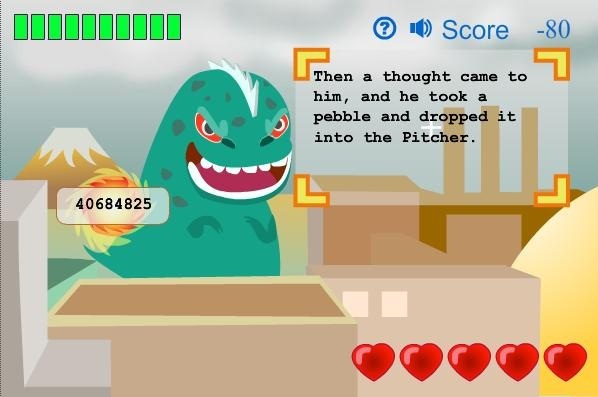 The online typing competition, TypeRacer, is a multiplayer typing game where you race others by typing quotes from popular books, movies, and songs. 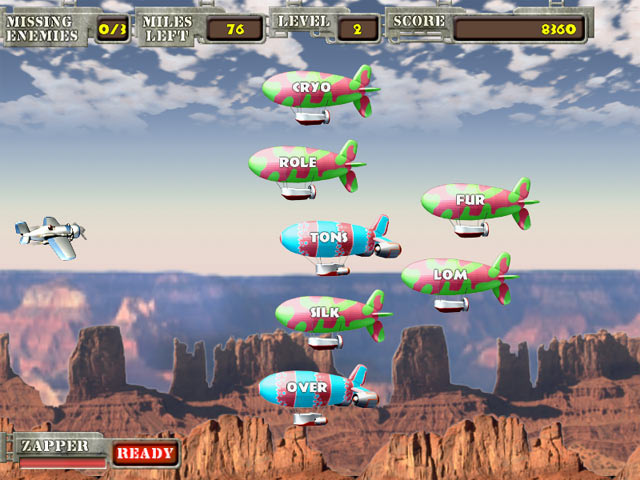 You can race opponents or friends or simply practice. 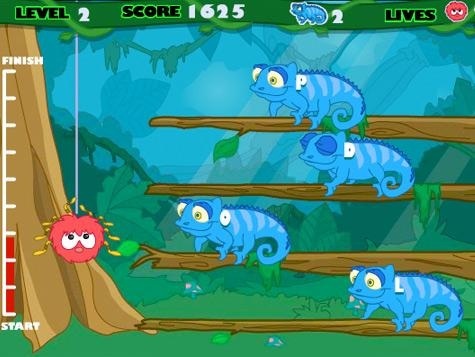 Help Berry the harry spider climb to the top of the tree and escape from the hungry chameleons. There are three levels - easy, medium, and hard. 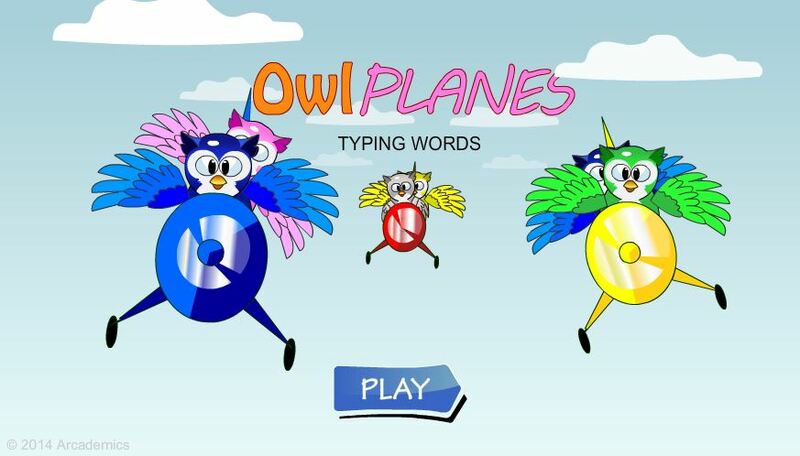 Learn to type with Alphabetic Rain typing game. 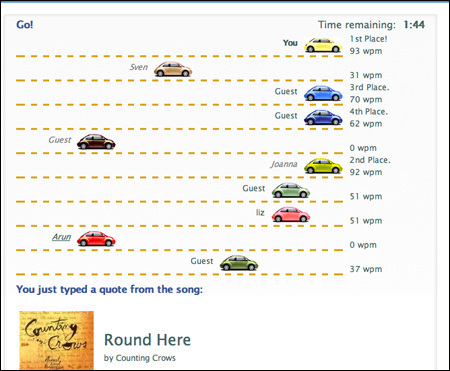 Part of PowerTyping an online learn to type tutorial which focuses on learning typing with the rhythm of music. 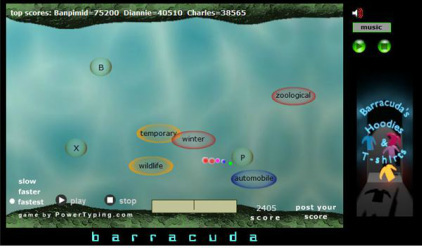 Barracuda- Free flash typing game is designed to learn typing on a computer keyboard. Part of Power Typing, a free online typing tutorial design to learn to type Qwerty or Dvorak style keyboard. 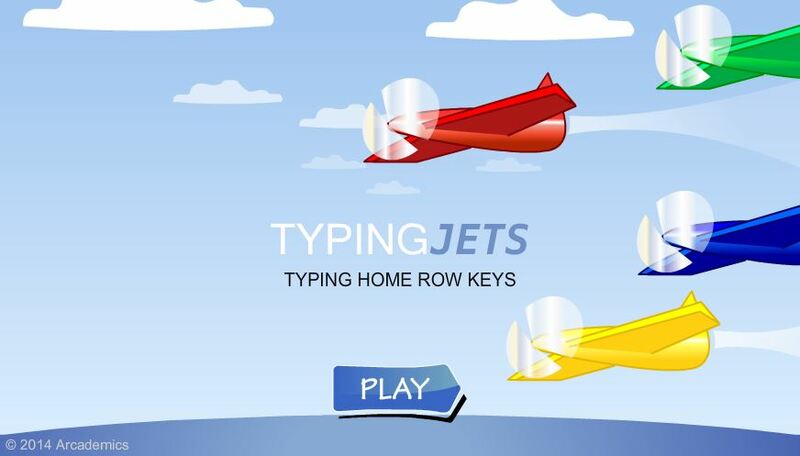 Typing games improve your typing speed, they won't teach you how to type correctly. That's what typing lessons are for. 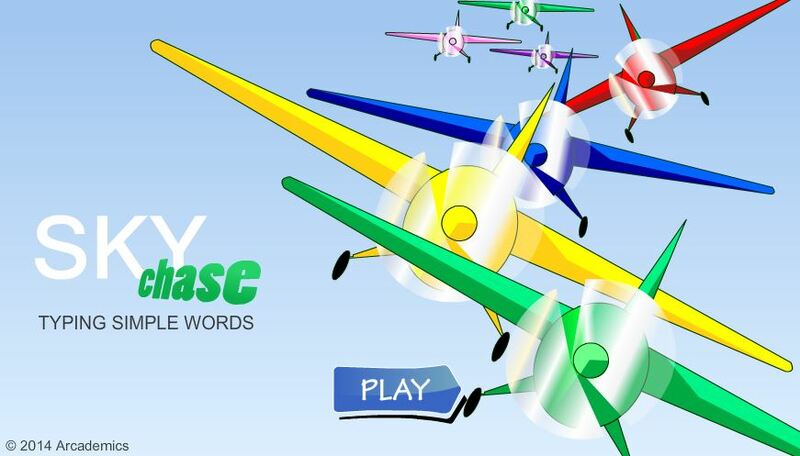 Race people from around the world as you practice your keyboarding skills.